Kyocera earns 6 BLI awards! Kyocera Printer Reviews Buyers Laboratory cites extraordinary durability, less waste, lower costs in exhaustive testing of newest printers and MFPs. FAIRFIELD, N.J. – July 13, 2016 – KYOCERA Document Solutions America, Inc., one of the world’s leading document solutions companies, today announced that it has received multiple awards from Buyers Laboratory LLC (BLI). BLI is a leading independent provider of product intelligence for the imaging industry, trusted by buyers and also IT directors around the world. Kyocera’s ECOSYS P6130cdn and ECOSYS M6535cidn each received BLI’s coveted Certificate of Reliability and “Highly Recommended” rating. Kyocera also picked up an Outstanding Achievement in Innovation award for the eco-friendly waste toner design of its new A3 models. The TASKalfa 406ci added to its already considerable accolades, taking home the “Pick” award for Outstanding Colour MFP for Mid-Size to Large Work-groups. In the business printer category, reliability is consistently ranked among the most important factors, and arguably the greatest competitive differentiation. 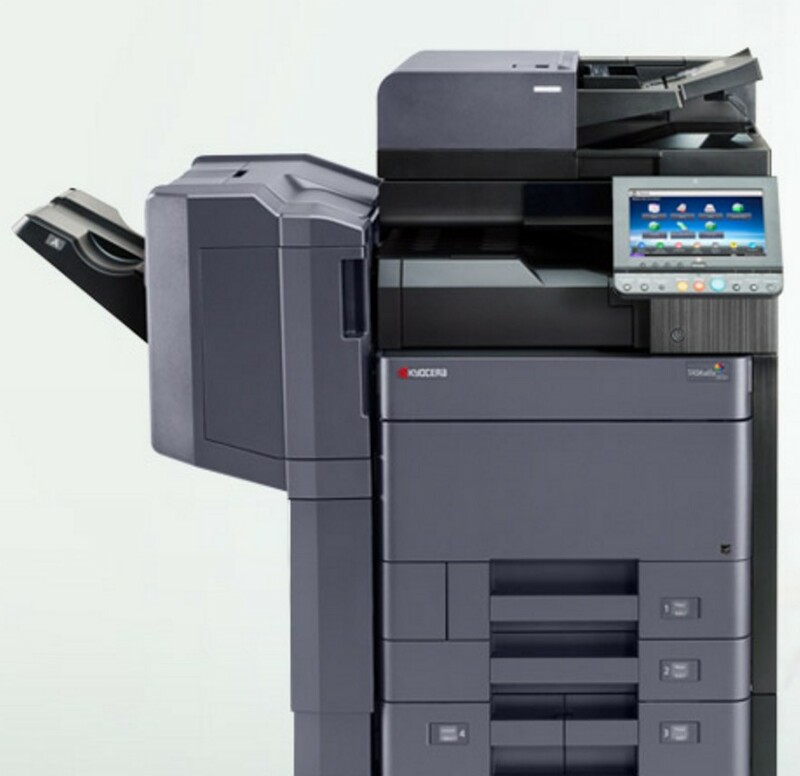 Over a 2 month period, BLI put Kyocera’s ECOSYS P6130cdn and ECOSYS M6535cidn through exhaustive 50,000-impression tests, including running both devices at their maximum duty cycles. Both printers “proved to be highly reliable,”and earned the “Highly Recommended” rating and seal of approval, BLI’s strongest endorsement. BLI analysts were thoroughly impressed by Kyocera’s unique waste toner container design, which has numerous benefits. BLI Senior Editor George Mikolay explains: “Because KYOCERA’s new A3 MFP lineup lets you use an expired black toner bottle as a waste container, customers will likely see a reduction in waste generated, storage requirements for supplies, as well as downtime and service costs, with no need to send out a tech with a replacement waste toner container.” The design earned Kyocera the 2016 BLI Outstanding Achievement in Innovation award. Several of its key features were noted, including a 7” full-colour tablet-like control panel. Strong scanning capabilities and also Kyocera’s open platform, HyPAS, which enables the TASKalfa 406ci to run a more robust portfolio of business applications. These include PinPoint Scan, DMConnect, DocuWare Connector, Teaching Assistant and many more. BLI was also impressed by the Tiered Colour System pricing, which allows organisations to pay for the actual amount of colour used, instead of full price for spot colour. “For these reasons and more, the TASKalfa 406ci is an ideal choice for mid-size and large workgroups,” Orr concluded. Buyers Laboratory LLC (BLI) is the imaging industry’s leading independent provider of analytical information and services. For over 50 years, buyers have relied on BLI data when making purchasing decisions. Industry professionals have also turned to it for competitive information when creating marketing strategies. BLI’s services include a comprehensive library of test reports, images and manufacturer’s literature. They also include industry tools that also help configure products, calculate total cost-of-ownership (TCO), and determine annual power usage. BLI also consults with manufacturers, helping them develop and market more efficient products and consumables.